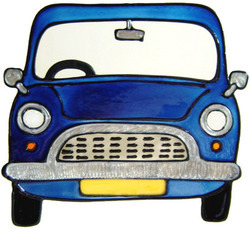 Front facing image of a Mini. Available in a choice of colours. A front facing image of the classic Mini - a real icon of British motoring. A choice of colours available.